Beauty of Ella Gap, Sri Lanka. Ella is a small town in the Badulla District of Uva Province, Sri Lanka, 200 kilometres east of Colombo and is situated at an elevation of 1,041 metres above sea level.Ella is surrounded by hills covered with cloud forests and tea plantations. The town has a cooler climate than surrounding lowlands, due to its elevation. 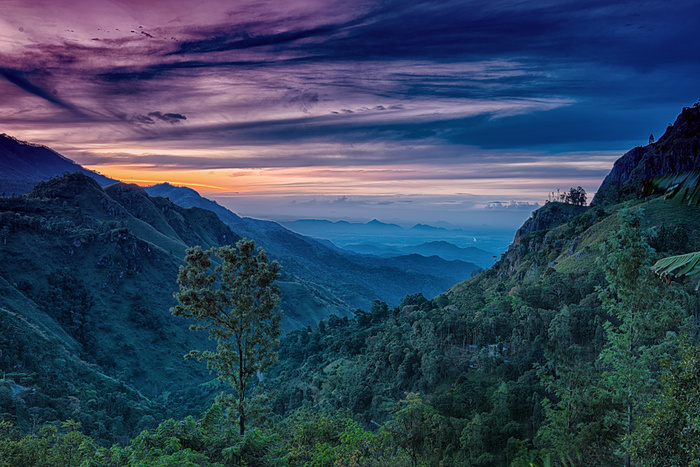 The Ella Gap allows views across the southern plains of Sri Lanka. If anyone want to know more about this please let me know, i have lots of pics and i'll keep posting those. Oh my God, the lighting is stunning in this picture! Did you bracket exposures, or was the natural light perfect? Thanks, It was a single exposure, f10, 2.5s, ISO 80. Bit over exposed the sky and able to do the detail extraction using Color Efex Pro. This was shot early morning during sunrise.